Tell us if this sounds familiar. Your nightly de-stress routine has gone from sipping one glass of wine to three. When you go out for drinks with friends, you always end up nursing a huge collection of empty beer bottles by the end of the night. There are days where you want to go cold turkey and stop drinking, but you know it’s easier said than done. You’re already aware of the harmful effects that too much alcohol can have on your health, but what about your skin? When you drink a lot in a short period, you’re essentially forcing your skin to age faster and also robbing your body of any water. If you’re worried that your drinking habits will affect your beauty regimen but you’re not sure where to go next, we’ve got you covered. Here are the many benefits of cutting alcohol from your diet (or drinking in moderation). 1. Your skin will look and feel refreshed. Alcohol is packed with chemicals that prevent your body from absorbing water properly. This will leave your skin feeling super dry and dehydrated. Try spending at least a week without drinking and take note of any changes in how your skin looks and feels. Trust us, your skin will thank you! 2. Your breakouts will be cut in half. Know those stubborn pimples that refuse to budge no matter how many creams you apply? Cutting out alcohol from your diet will help prevent flare ups. Many people don’t realize just how big a factor alcohol plays in clogged pores and other skin issues. In fact, it actually shrinks your pores, which is what causes your breakouts to happen more frequently. 3. You can finally say goodbye to that red, flushed look. Having trouble getting rid of the redness on your cheeks? That drink you had before bed may be the reason. Alcohol actually makes redness and inflammation more apparent. It only gets worse the longer you drink. If you’re tired of having those red blotches appear, try cutting drinks from your diet for at least three days and see how that goes. You’ll notice a major improvement. 4. You’ll take years off of your face. A beauty remedy that makes you look younger without extra effort on our part? Sign us up! Heavy drinking actually ages you faster and causes more wrinkles to form. This is because the alcohol breaks down your body’s natural ability to produce collagen. Who would’ve thought that drinking less could be the answer to all of our aging problems? 5. Your chances of developing skin cancer are lowered. If you needed one more reason to drink less, this is it. According to a recent study from the U.S. National Library of Public Health, there’s a small correlation between drinking and non-melanoma skin cancer. 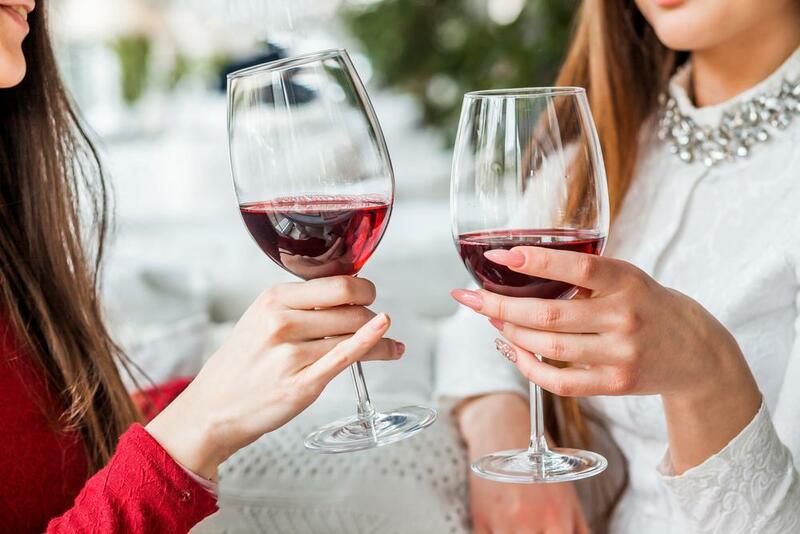 Drinking one glass of alcohol a day increases your chance of developing basal cell carcinoma by seven percent, and squamous cell carcinoma by 11 percent. While these numbers seem small, it doesn’t change how scary this news is. You don’t have to give up drinking completely, just be more aware of the amount that you’re drinking.